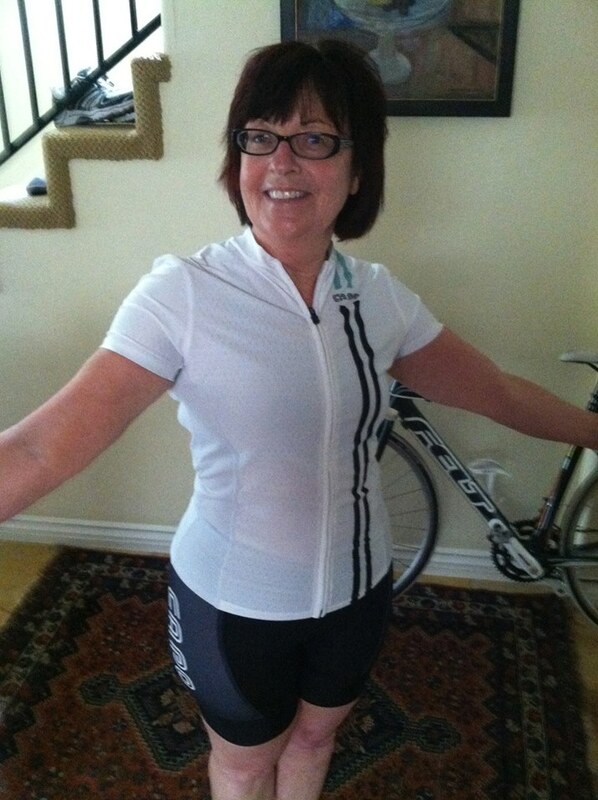 I’ve posted on this blog about discovering cycling after 60, taking up CrossFit, and the pleasure of knowing that I can still run – an activity that was my main exercise in my 50s. As you can probably tell I like to experiment with different types of movement. Although I have done yoga from time to time throughout my life, it has always been for very brief periods and as something thrown in among other activities when it was convenient, which was hardly ever. In short, I have not been a practitioner of yoga. Still when my daughter, Sascha, finished her yoga teacher training and started teaching classes I wanted to support her and so I have added yoga into my weekly activities – just one class a week at first but now I’m planning to add more. Why? Well, for one thing there are obvious physical benefits. The first couple of classes that I took were classes that she was teaching in the park in the early evening. I had done a vicious CrossFit workout in the morning of the first class and was dreading the soreness that usually follows such sessions. Although I was tired by late afternoon I managed to drag myself to the park for class motivated primarily by maternal affection. The hour provided a number of challenges – balances and stretches that felt fairly intense and not always comfortable – but at the end of class I felt fantastic, relaxed, and energized. I had forgotten that’s what yoga will do for you. 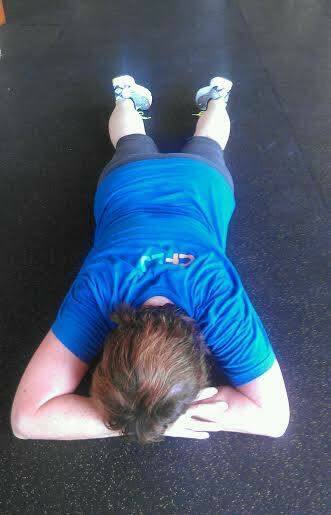 But most surprising was that the next day I had almost no muscle soreness from the CrossFit. That was pretty amazing and it was the main reason I went back the following week. Another benefit was the class location. San Diego is a beautiful city and little Bird Park — a corner of Balboa Park — provides glimpses of downtown from an island of serenity. It is a lovely spot to be at the end of the day. But the real treat for me has been the experience of learning from my daughter. This has been one of the unexpected pleasures of parenthood. We play the role of guide and teacher to our children for so long, it is truly lovely to reverse roles and surrender to being the student. I did not anticipate this part of my relationship with my children – perhaps because it is so hard to project beyond those busy days when they are babies, toddlers, and teenagers to a time when they will be adult selves with so much to offer. This new phase of our relationship feels like a gift. She is a good teacher and I am getting better. And when you can see you are getting better at something it is encouraging and you want to do more. I anticipate that yoga will now be a regular part of fitness regimen. I doubt that I will be doing this anytime soon, but that’s all right. I am just happy to be able to continue to learn in so many different ways. Sharon Crasnow is a retired philosophy professor who writes on feminist philosophy of science and lives in San Diego. I didn’t run far but for me this is a milestone nonetheless. It’s not that I have been entirely inactive. Although I broke my foot (a stress fracture) a year and a half ago, and it did take most of a year to heal, since the break occurred while I was running I figured that even if it healed I wouldn’t run again. Running hadn’t been my main form of exercise for about 5 years and so I felt I could deal with that. I do CrossFit (see my earlier post on this), bike, and hike and so I thought I could let running go. I mean, I’m 66 and so I figured that there are some things that maybe I have to admit I can’t do any more. But apparently running isn’t one of them (yet). This is what that means to me. First, I can still come all the way back from a pretty distressing injury even if not that serious injury. I was in a boot and on crutches for 6 weeks but struggling long after that. Resilience is a good thing and so that’s reassuring. Second, I discovered that even when injured it is worth continuing to exercise. The trainer I work with (the wonderful Brandy) figured I could still row even with my foot is a clumsy hard boot (the stationary bike and running were clearly out – oh, and no burpies either). I am grateful that she was inventive. I put the booted foot on a skateboard and rowed away. Third, feeling strong is a good way to feel – and I am not saying this just because I saw Wonder Woman yesterday. Finally, I learned that I shouldn’t prejudge what I can and cannot do based on some idea about how old I am. Yes, I’m getting up there but it isn’t clear what that means about my capabilities and I am finding that it means different things for different people. Finding where you are in that spectrum of experiences is a process and not some pre-determined or static fact. What the limits are is something to be discovered – not told by yourself or others. I’ve made a note to myself to watch out for mental shadows that prematurely limit my willingness to experiment. I was out riding for the first time in over a month this past weekend and I felt a little shaky. The thought crossed my mind that maybe I shouldn’t be out there giving that I was so old! I told a friend on the phone and she said, “I know! The paper would say elderly women killed while cycling. How awful!” I laughed even though I was less worried about what the report would say after the fact then the possibility of it becoming a reality (one difference in our personalities). This is not to say that one shouldn’t be careful. I am a very careful cyclist but I am careful precisely because I want to be riding for as long as possible. And while even careful people have accidents and get injured it is not only those over 60 that have that worry. I may not be running a lot, but that’s okay. At least I know I can run again. Watch out! Elderly runner/biker/hiker coming through! Picture of three “sheep ladies” hiking from a shop in Sardinia. Well let’s just say that CrossFit and I didn’t hit it off right away. My first two sessions seemed all right. 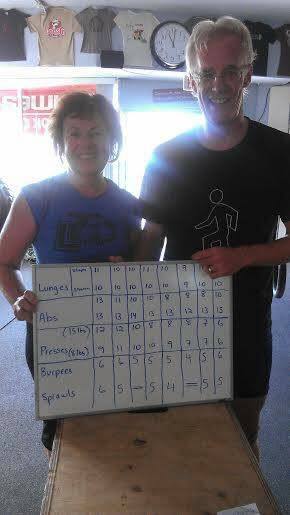 My trainer (the awesome Brandy Adams at LA Jolla CrossFit) and I were getting to know each other. I did some squats, lunges, relatively light weights, some things with the BOSU, but then in the third session we moved to things I had never done before – kettle bell swings and wall balls. I think it was the I kettle bell that did it. I was afraid that I would swing it up over my head and it would come crashing down on me – a completely irrational fear that would require defying the laws of physics to be realized. To prevent this horrible calamity, I gripped my back in some way that sent it into spasm and I experienced my first serious sports injury. I’m over 60 so I suppose I’d been pretty lucky up till then. The result was more than six months of bad back pain. I am not sure why I didn’t just give up at that point. But instead, I read the injury as revealing a weakness that I was determined to correct and so I kept training – at first, around my back, focusing on my core, and finally not only did my back return to pre-injury pain-free status, but I am a hell of lot stronger than I have ever been. The whole process has been weird though because I actually couldn’t figure out why I was persisting, since I was very sore a lot of the time and tweaked quite a few other parts of my body in the process – none as badly as my back – but still hurting myself has never been one of my favorite things to do. Consequently, I have thought a lot about why I work out. People would say to me “You’ll lose weight.” That would have been okay with me I guess, but I didn’t and if fact, I found I didn’t really care very much about that. They would say “You’ll look great!” Well, I guess that’s nice, but again, that wasn’t really what was motivating me. I was going in part because of the relationship with my trainer – but I was traveling a lot this academic year for stretches of several months at a time and I was working out pretty hard on my own, so it wasn’t just Brandy. Again, I found my behavior puzzling – why was I doing things that were so hard? Like Burpees and workouts called “Fight Gone Bad” – I mean, with a name like that you know it can’t be pleasant. So here’s my considered conclusion. I keep doing it because it feels good. Not the actual workouts – but being strong – doing things like throwing my luggage in the overhead bin with hardly any effort. Feeling good is not only enough to motivate me to continue, but I actually really look forward to working out – I even get excited about it. 4) Sweat – particularly sweating with my guy. I’m having fun, I’ve learned new things, and I think I’m starting to like this CrossFit thing. I feel a bit like an interloper here. I don’t think of myself as particularly fit – though I am not really sure how to judge that. And then there is the fact that I am more than a decade past 50. But I am a feminist and I do read this blog and when I saw Samantha’s question How Does It Make You Feel? I really wanted to answer it, partly as a way of saying “thank you” to her. I started cycling about a year and a half ago. My first bike (see How Many Bikes is Too Many? ) was a mountain bike. I didn’t intend to use it for mountain biking exactly but a mountain bike seemed like it would be comfortable because of the suspension and those big tires made me feel safe. I’m an old lady after all. What I didn’t know is that I would want to go fast – faster than I seemed to be able to get the mountain bike to go –it’s just too heavy. It took a lot to get it moving and even when I thought I was flying along everyone was passing me! The solution? A road bike. But getting a road bike meant that I would have to ride all hunched over with my feet attached to the pedals! Terrifying – and some little voice was saying to me that it was not something for sixty-one year old woman to do. I was faced with a dilemma – if this was something that couldn’t be done at sixty-one it was something that I would never do – and I really wanted to do it. It was not the easiest of transitions. I fell more than once. There is nothing quite like feeling yourself falling over while your feet are immobilized. It happens in slow motion, like a felled tree going down, and all you can do is watch and anticipate the pain. I have a piece of road in one elbow as a permanent reminder of the learning process. But I haven’t fallen (not like that at any rate) in a while now and it is such a high to have learned something new and to get better each time I ride. One of the big benefits of starting a new physical activity when older is that I have no point of comparison with a younger me – no regrets for lost strength, speed, or skill. Right now I can only get better – and I do! 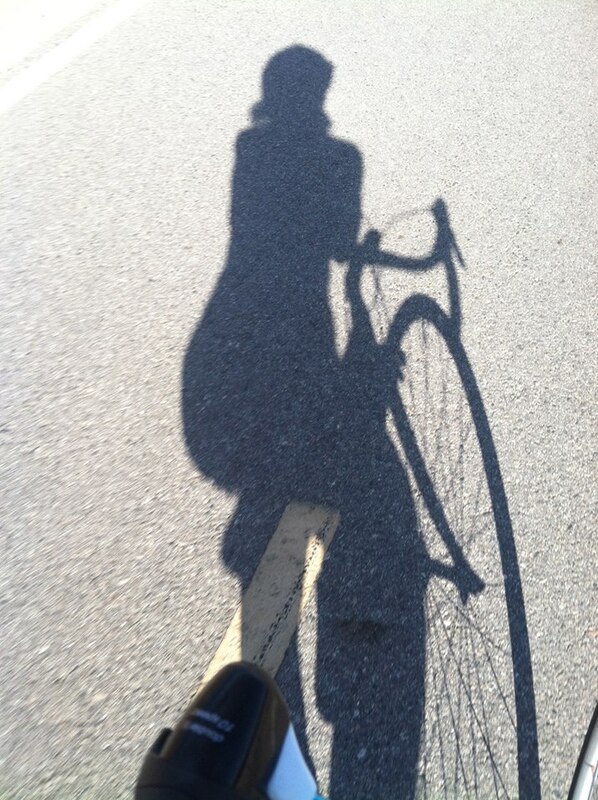 I started out struggling with 10 mile rides and I now routinely do 20-25 several times a week. I never used to ride where there were hills. I was afraid I would slow down too much and just fall over – does that even happen? This morning I did my best time so far up Torrey Pines (400 foot climb) – 14 minutes at 6.2 mph compared with my first climb 17 minutes at 5 mph. Okay, that’s not really very fast and I still get passed but I feel powerful going up and I feel like I am flying when I’m going down those same 400 feet. And, let’s not forget, I am 62 years old after all. So this blog post has several messages. First, get a (at least one) bicycle. Second, don’t think you are too old to start something like this (I also started running at 50 – and there were similar pleasures in that experience). Third, if you are (almost) 50 there are good times ahead. Finally, a big thank you to Samantha – her Facebook status updates on cycling may have been the final nudge that I needed to get me out on a bike. Biography: Sharon Crasnow teaches philosophy at Norco, College in Riverside County California and lives in San Diego. Fortunately these are both excellent places for cycling. Her philosophy research interests are methodology in the social science with an emphasis on feminist methodology, and feminist epistemology and philosophy of science. She is the co-editor with Anita Superson of Out from the Shadows: Analytical Feminist Contributions to Traditional Philosophy and with Joanne Waugh of Philosophy Feminism and Popular Culture. She has two daughters, a stepdaughter, and stepson and is married to a pretty incredible political scientist who also is an avid cyclist.